Who. Photo courtesy of the Huffington Post. Amy and Rory are really leaving the Tardis. Stephen Moffat announced today that Jenna-Louise Coleman will be replacing everyone's favorite redhead and her husband as the Doctor's companion in the upcoming season of Doctor Who. Coleman has been confirmed as the Doctor’s newest companion, with executive producer Stephen Moffatt saying the 25-year-old British actress will play a fast-talking live wire who will lead the Time Lord on “his merriest dance yet” (metaphorically speaking, presumably). Coleman is a relative unknown on these shores, although she has starred in the British soap Emmerdale, had a bit part in Captain America, and appears in the upcoming Titanic miniseries from Downton Abbey creator Julian Fellowes—none of which will matter once she plays the companion on Doctor Who, of course, because that’s how the Internet will look at her ever after. (Just ask Catherine Tate.) Anyway, Coleman’s entrance naturally means an exit for the Doctor’s current companions, the Ponds, which Moffat has said will occur in the fifth episode of next season and will be “heartbreaking.” But then, as so often happens on Doctor Who, a new pretty girl arrives to make it all better, so don’t worry too much about it. I've said this every time there's a cast changeover on Doctor Who - and every time I have been proven wrong - but I'll do it anyway: there is no possible way that Coleman will ever replace Amy Pond (Karen Gillan) in my heart. I love Amy. 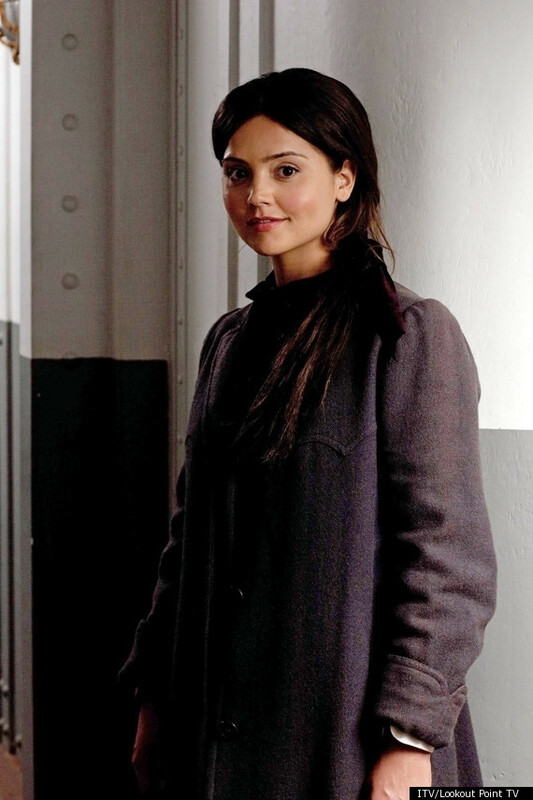 I love her relationship with the Doctor. God help me, I even love Rory (Arthur Darvill). And while I have come to adore Matt Smith in a way I never thought possible after falling for David Tennant, I refuse to accept that anyone could ever fill Amy's miniskirt. Of course, since Miss Pond is (SPOILERS) River Song's (Alex Kingston) mother and, as of recently, the Doctor's mother-in-law, I'm assuming we haven't seen the last of her. Even a 900-year-old Time Lord has to take the occasional vacation with the in-laws, right? We all knew Amy's time had to come to an end. It pains me to know I can never be a companion because im not a 20-something female but I won't judge her until after I see her on the show. I learned not to judge after going into Matt Smith's doctor with the idea I would hate him for replacing Tennant and then loving him. The only casting I REALLY want to see from them is Benedict Cumberbatch as the Master because that would be bitchin.